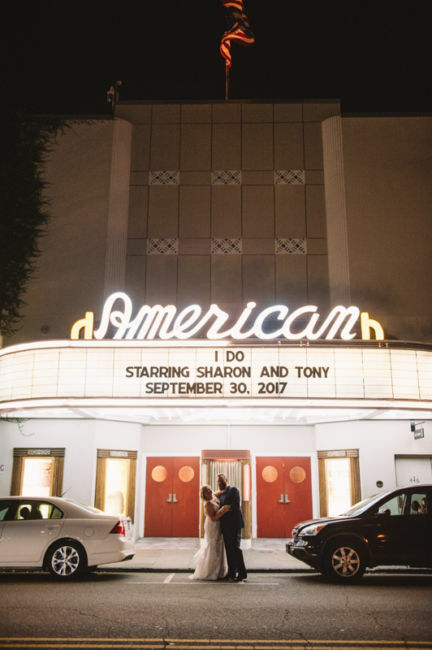 It didn’t take long for Sharon and Tony to fall in love. 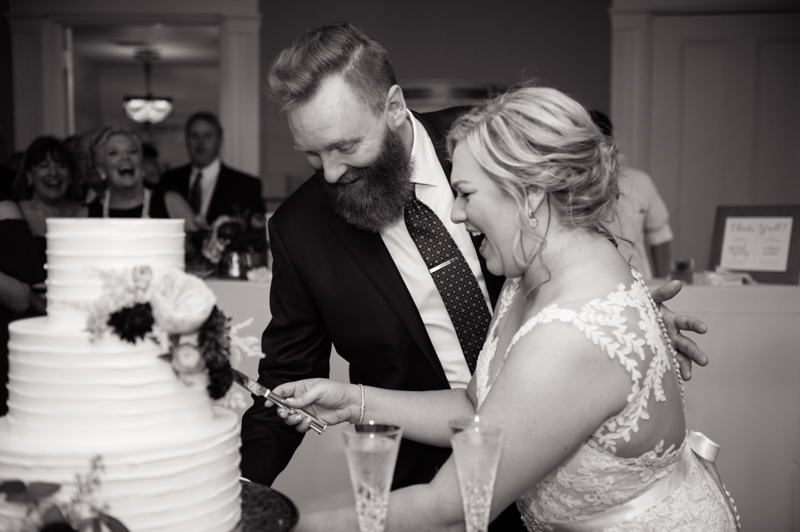 Their passion for cooking, a good cocktail, and Tony’s 13 year old daughter brought them together for keeps. 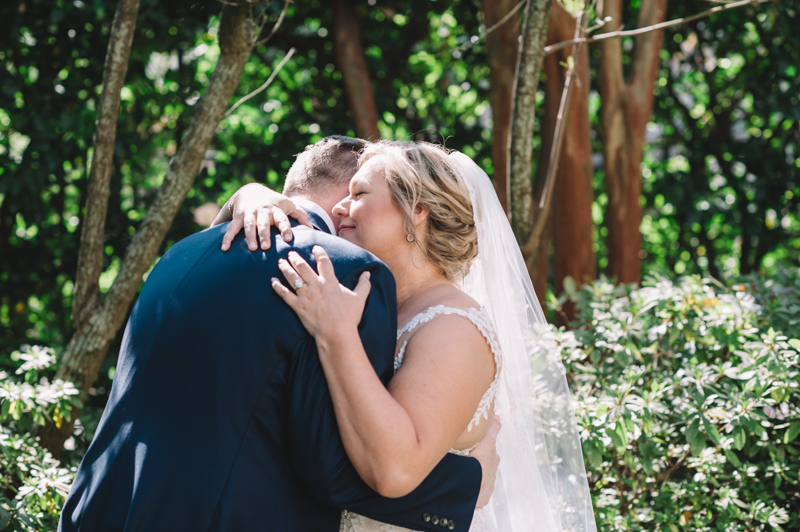 The couple sealed the deal together with a custom made engagement ring in the comfort and love of their home. 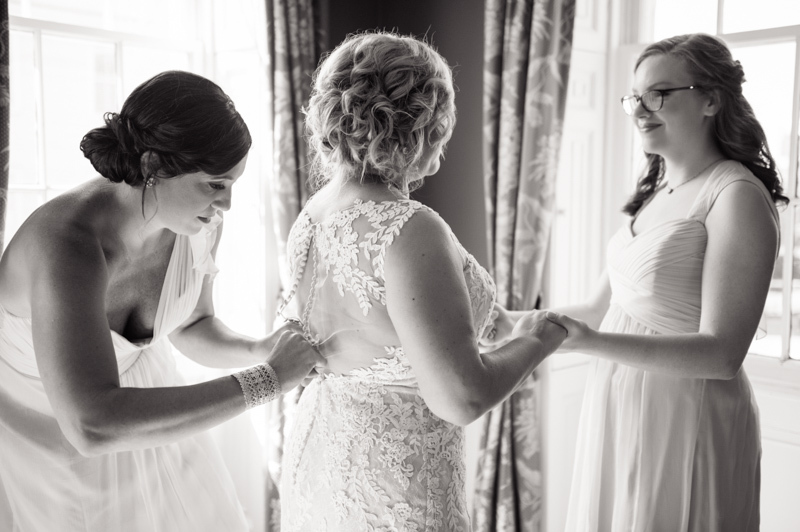 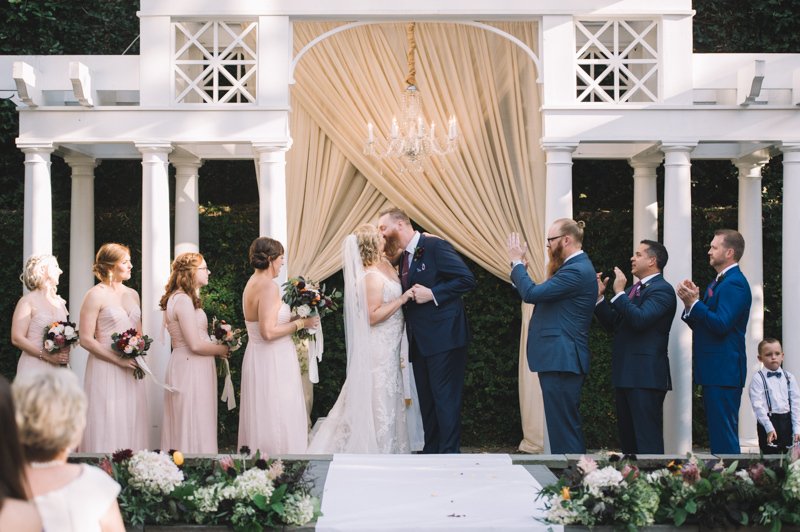 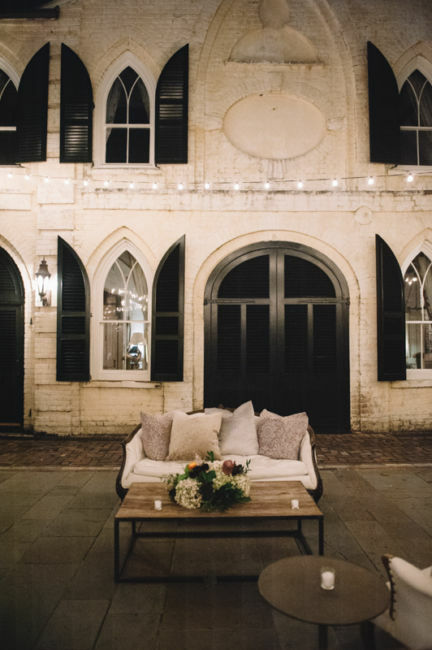 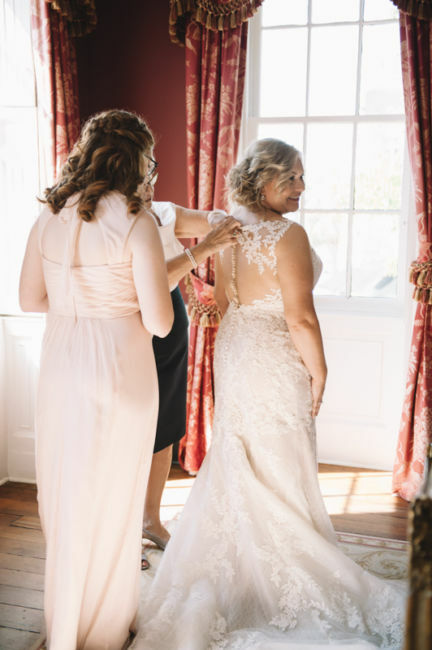 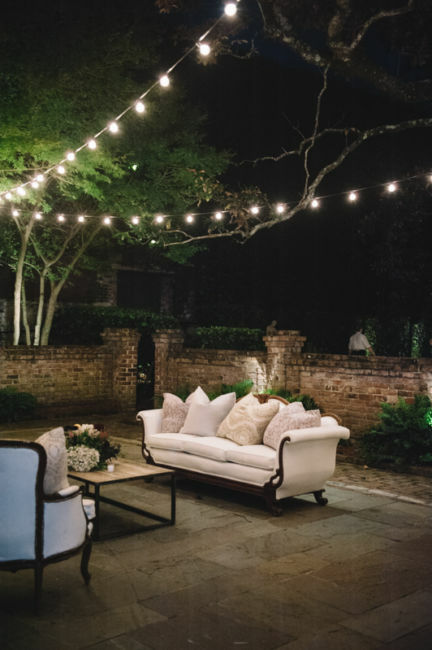 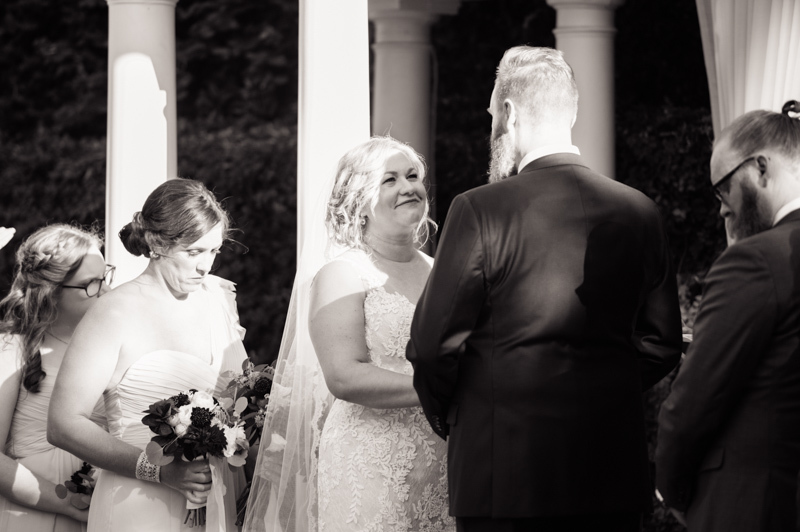 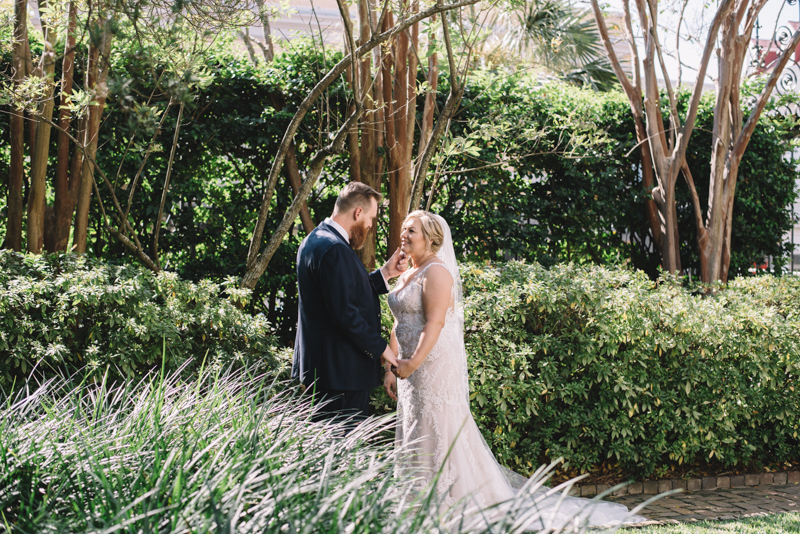 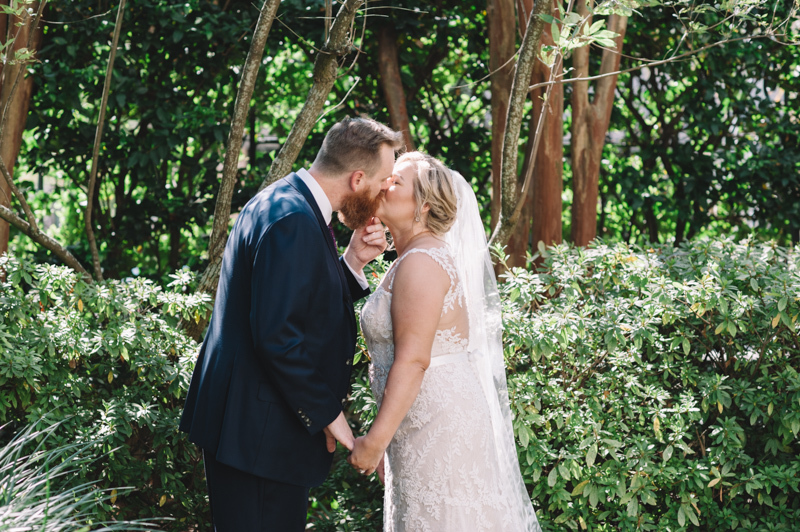 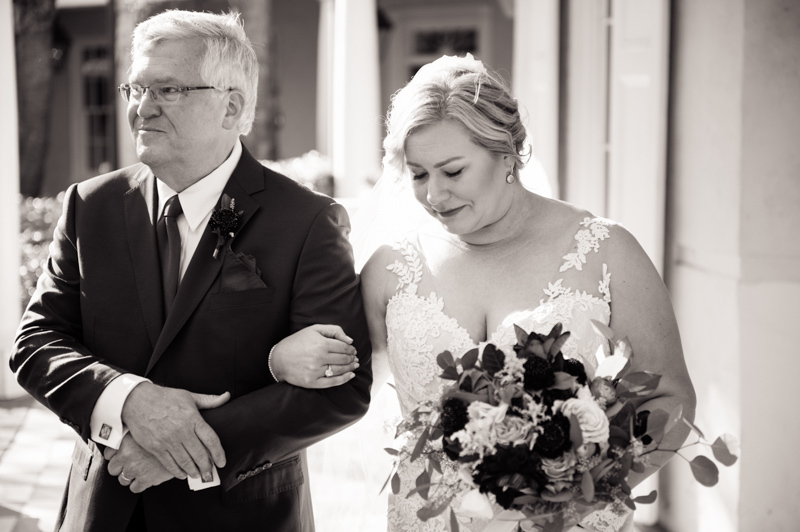 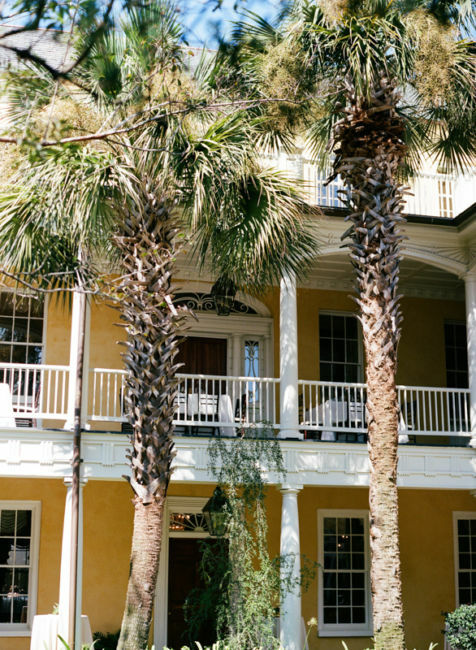 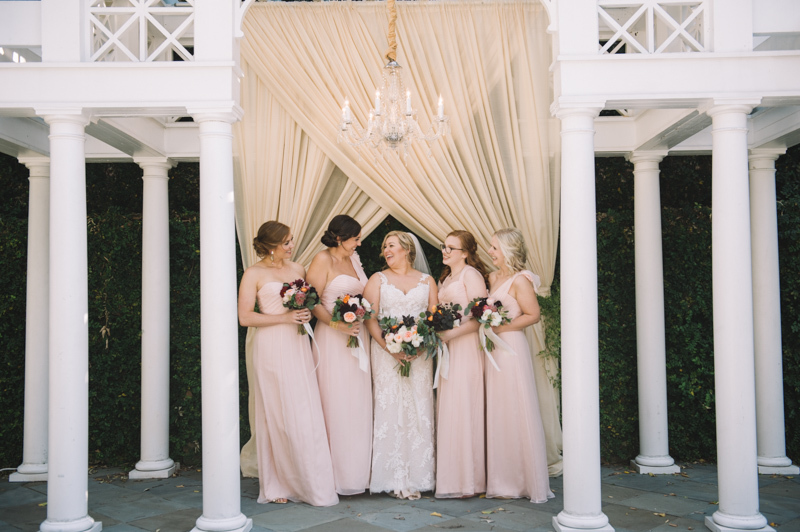 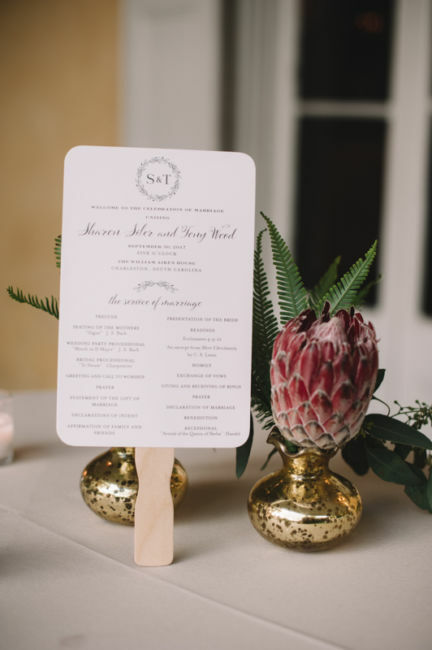 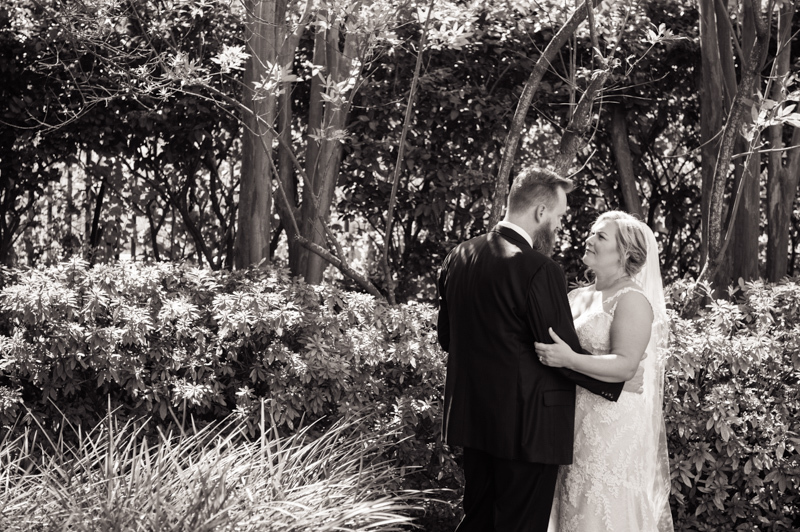 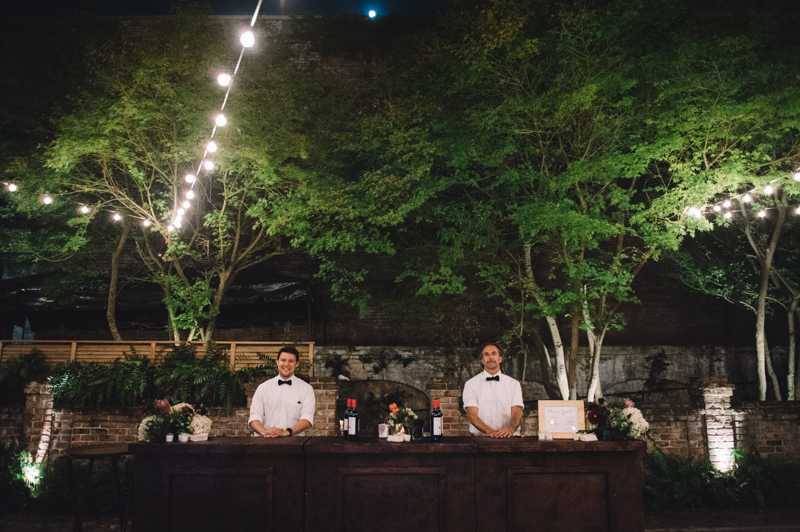 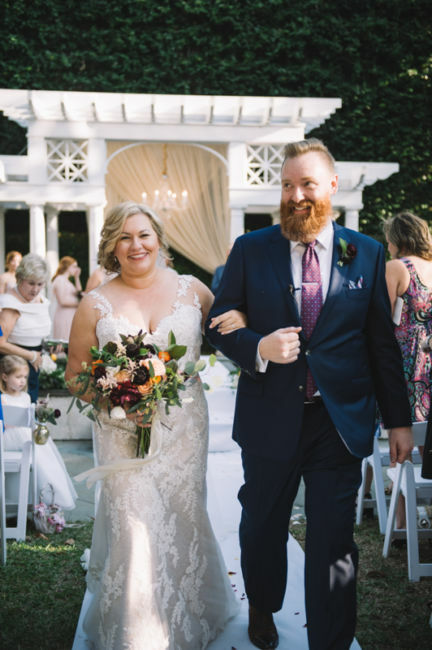 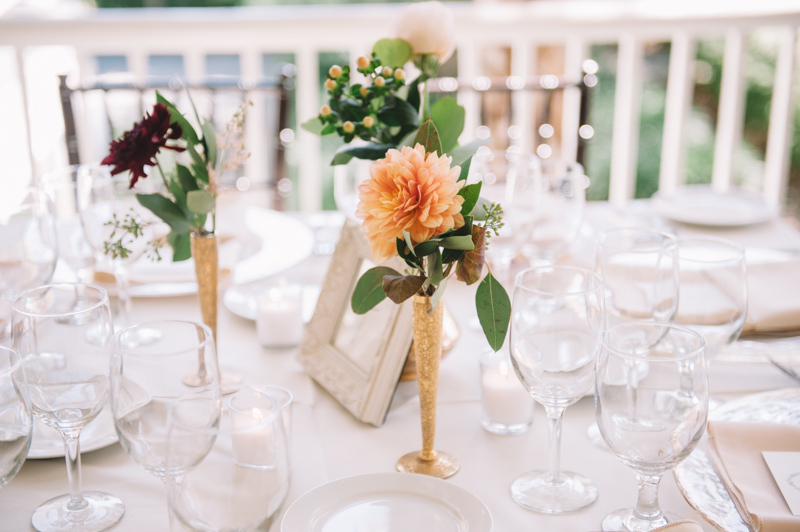 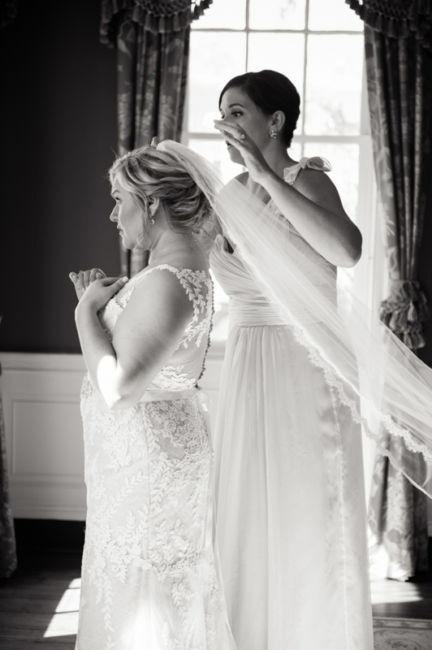 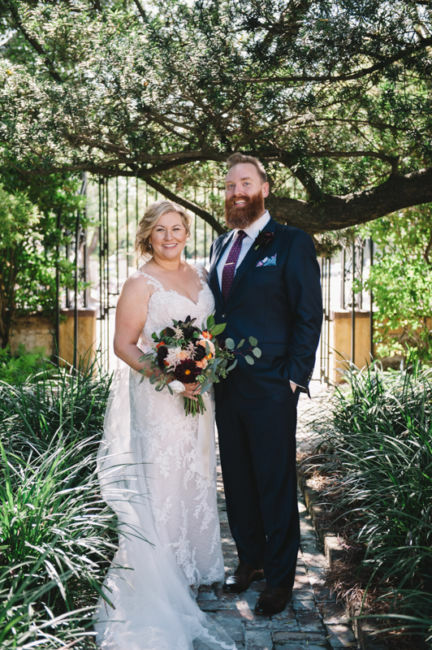 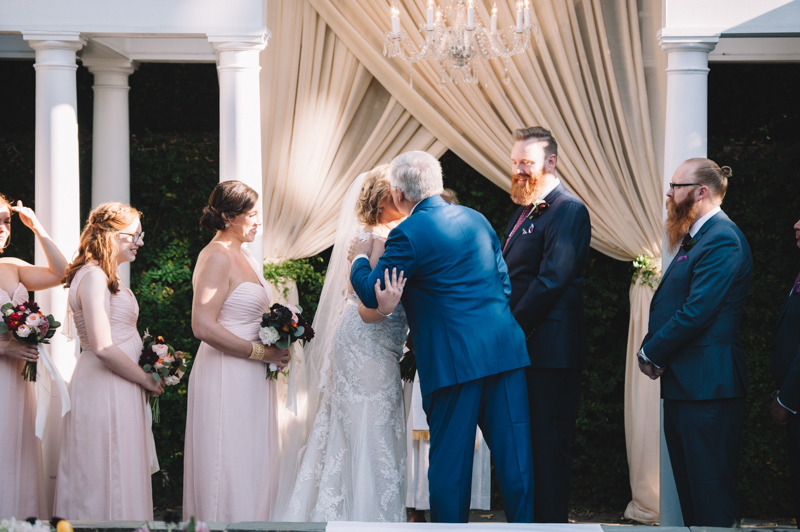 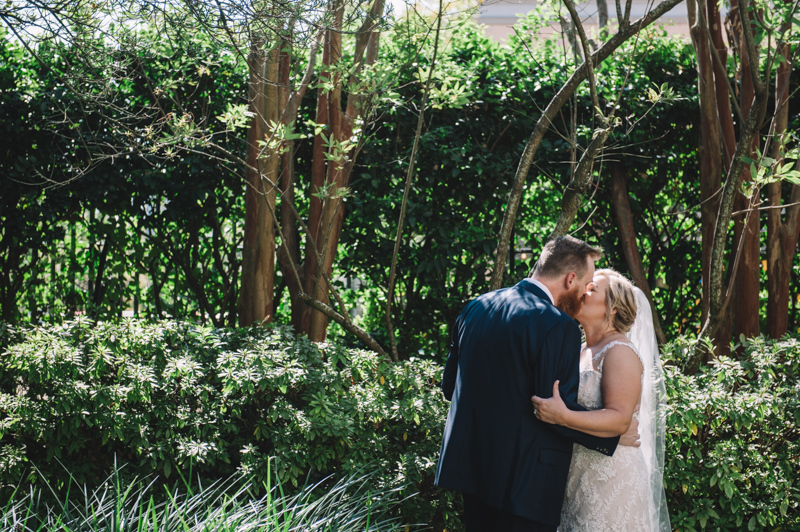 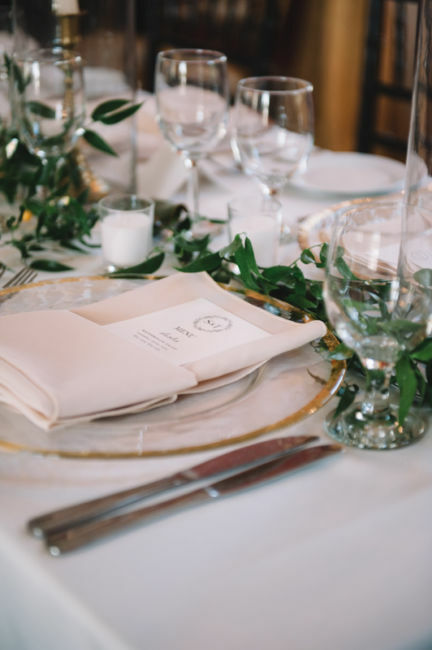 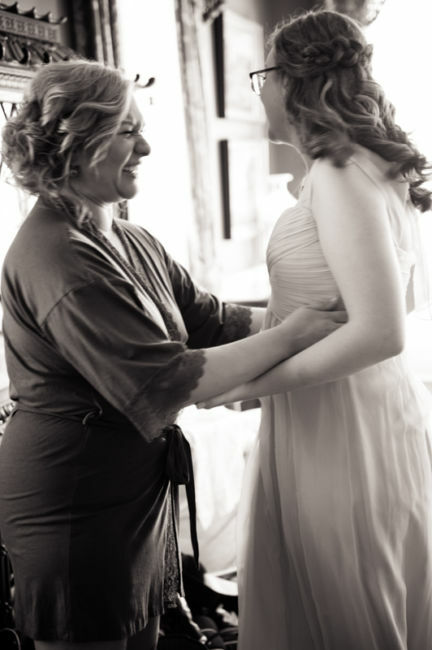 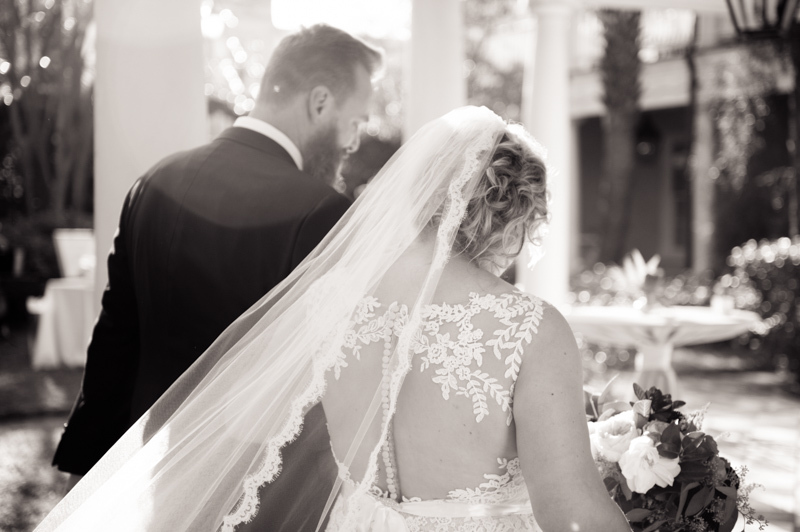 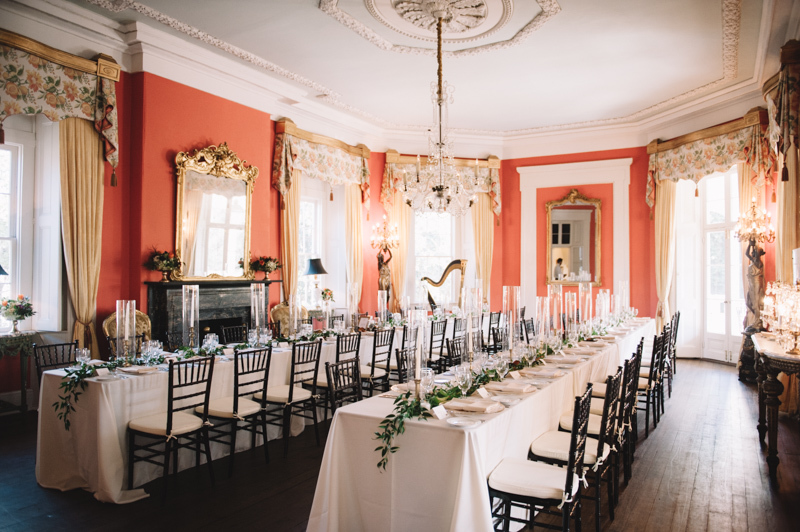 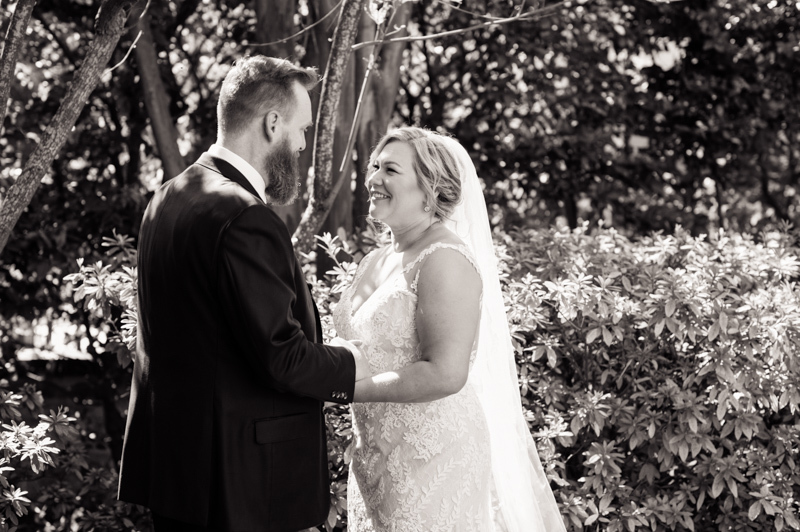 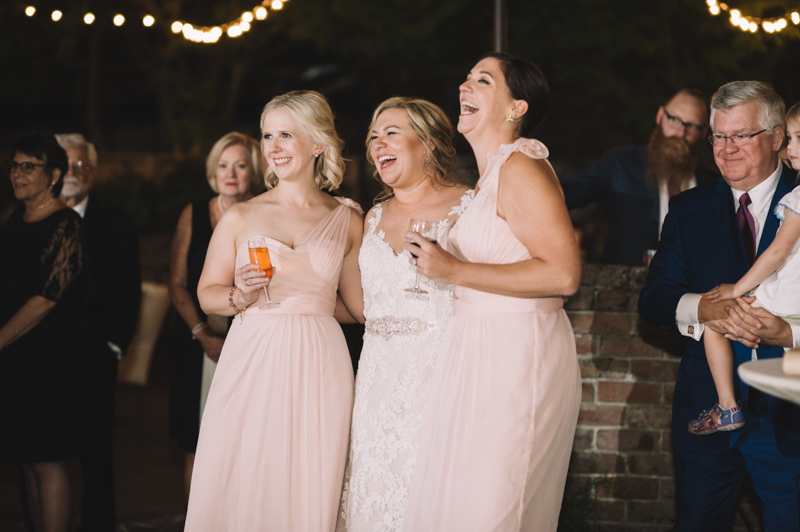 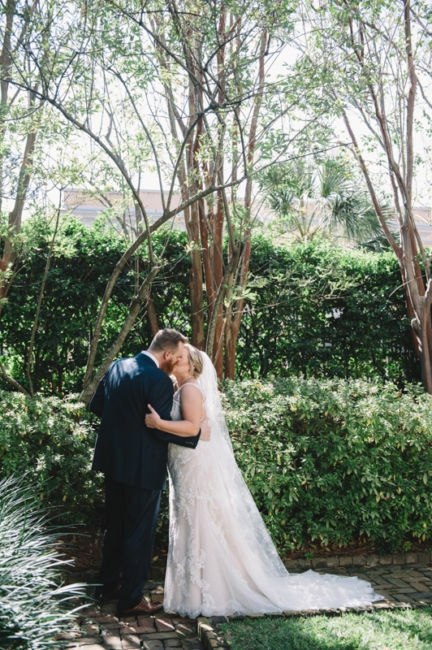 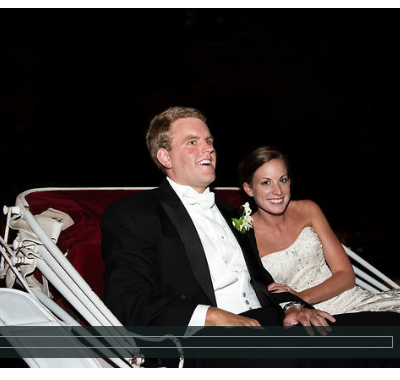 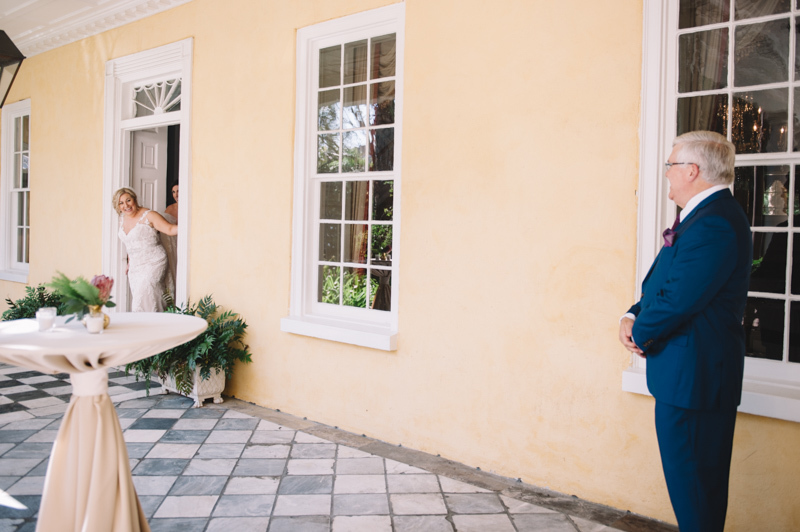 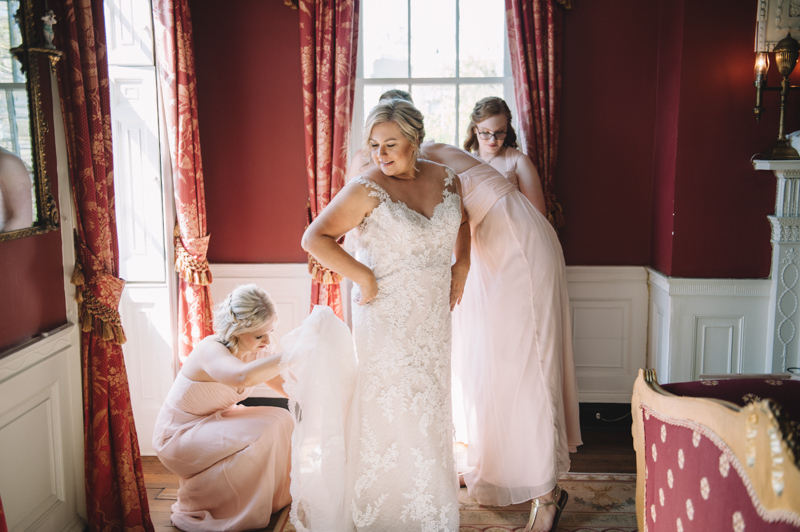 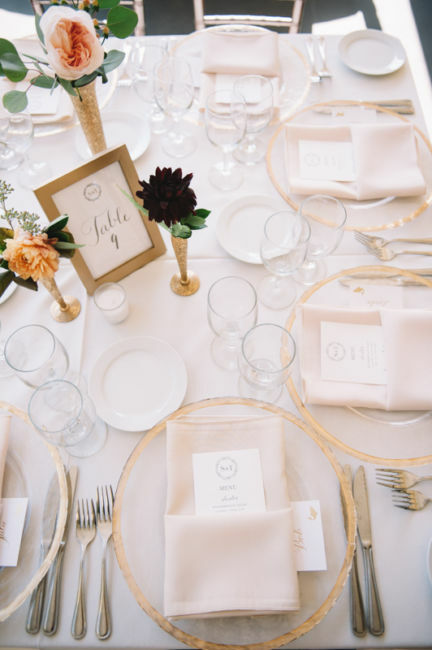 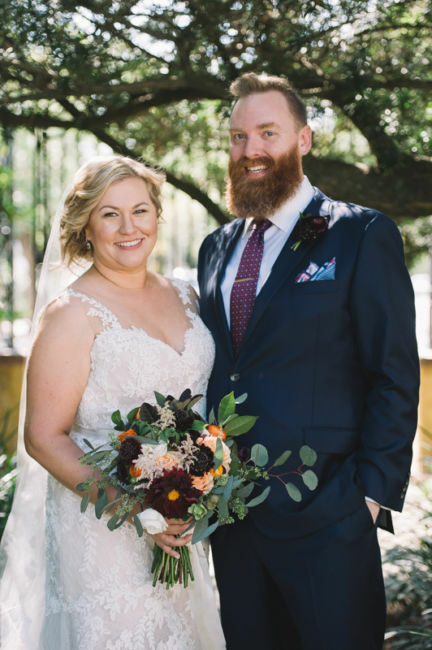 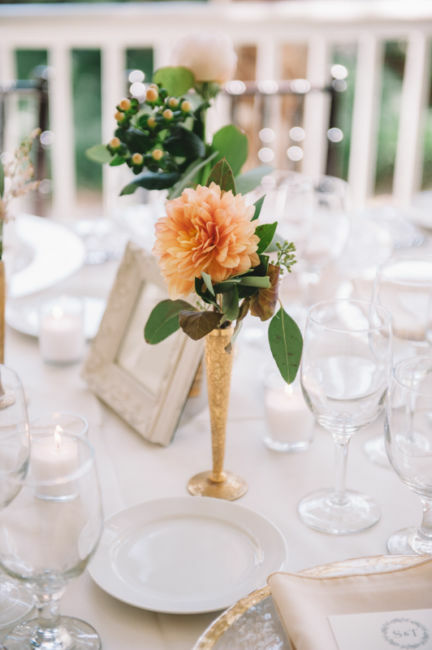 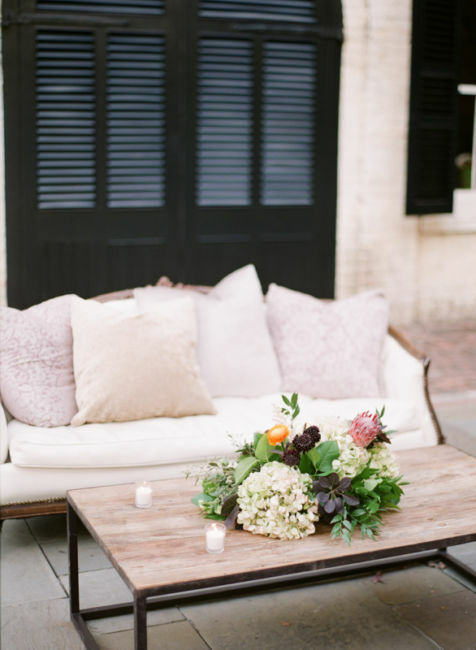 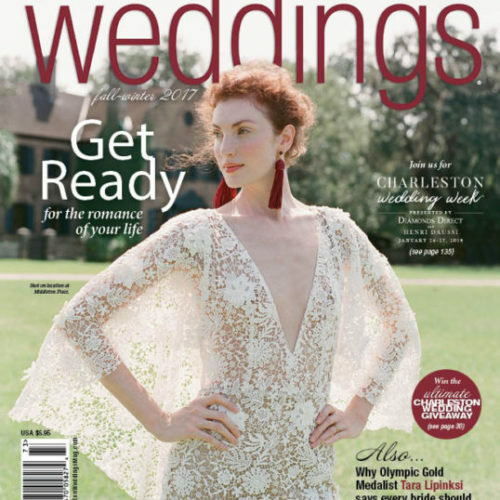 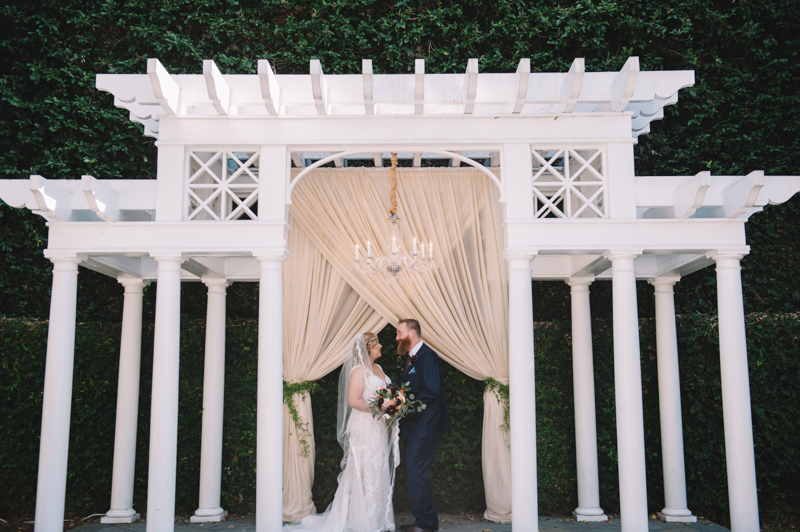 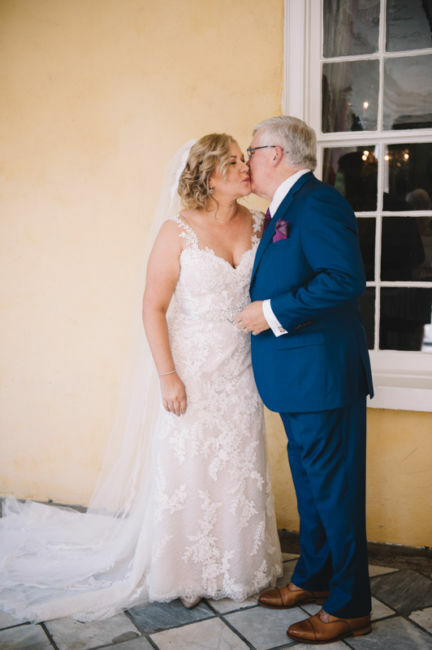 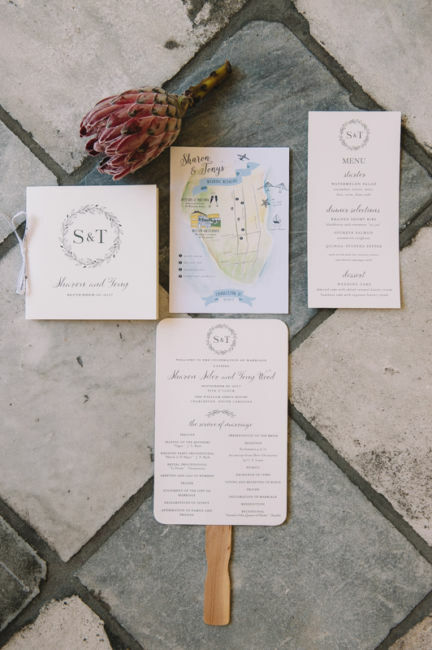 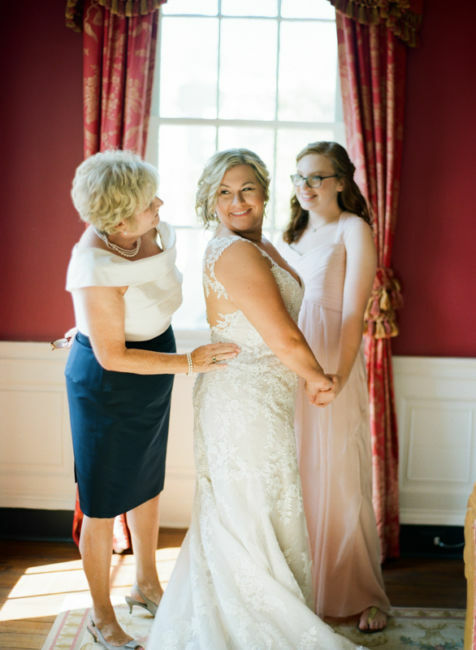 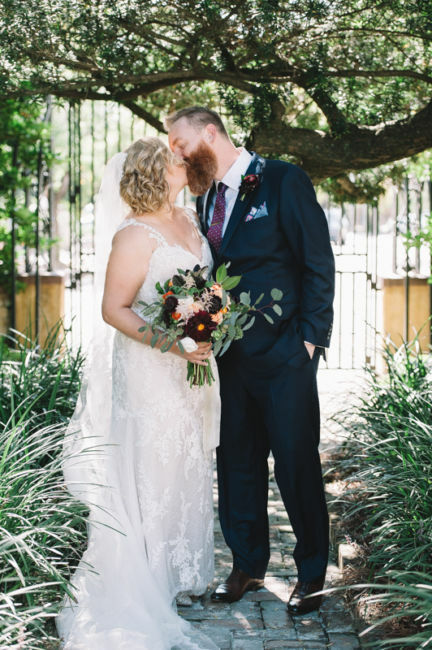 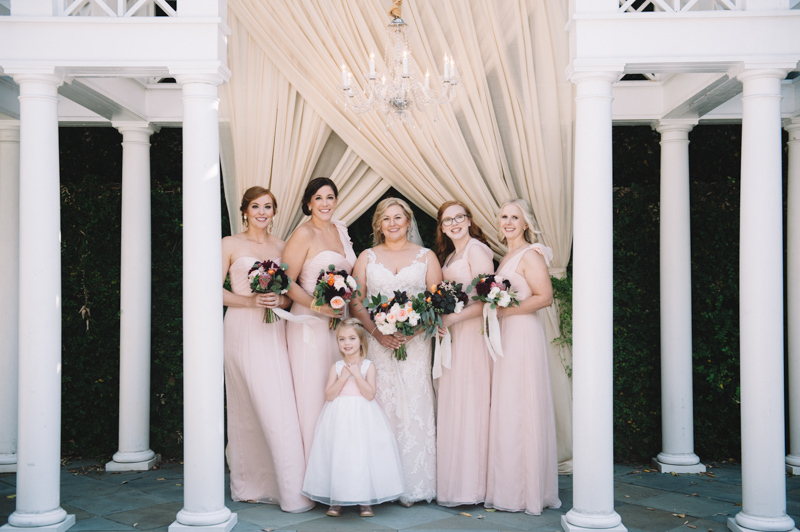 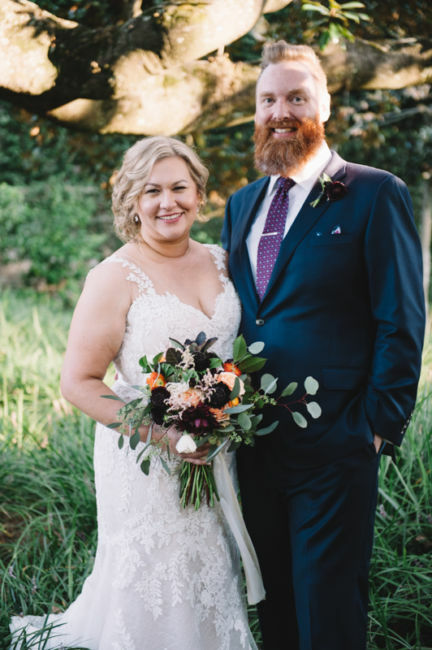 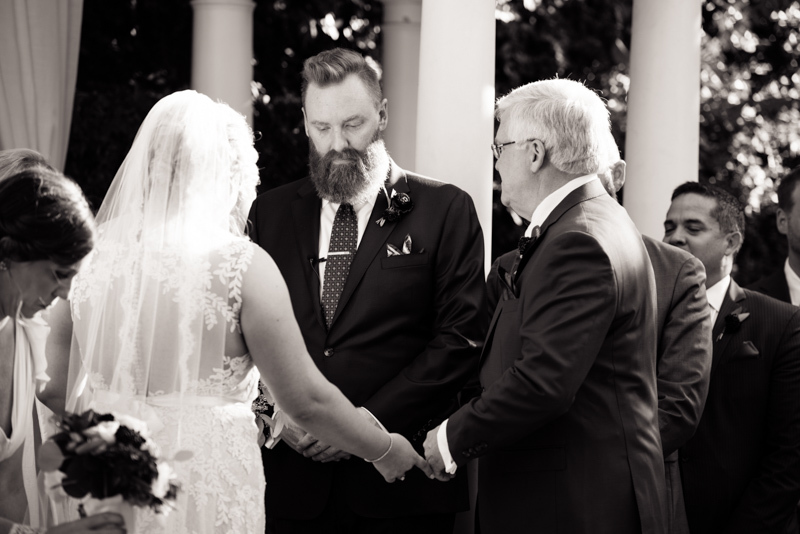 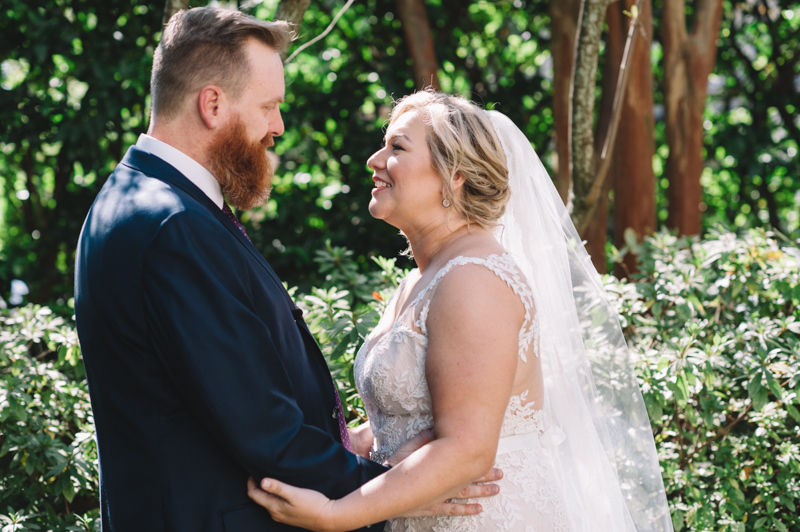 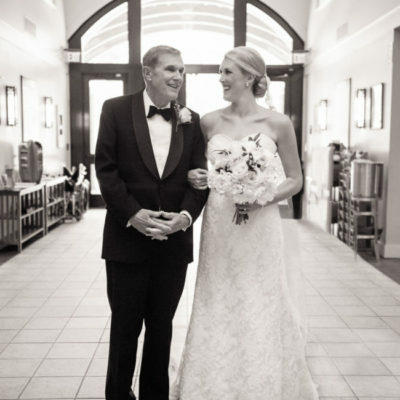 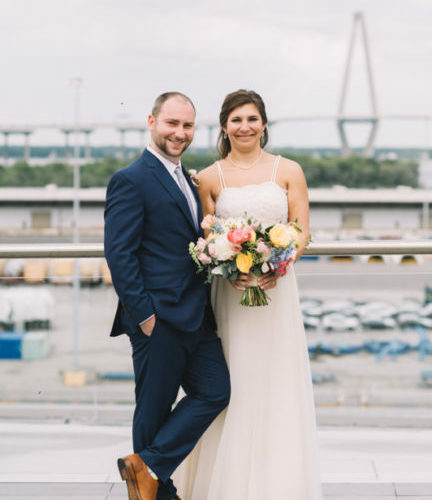 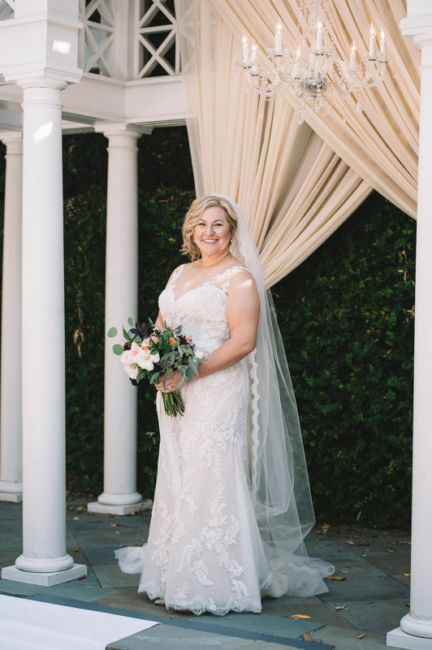 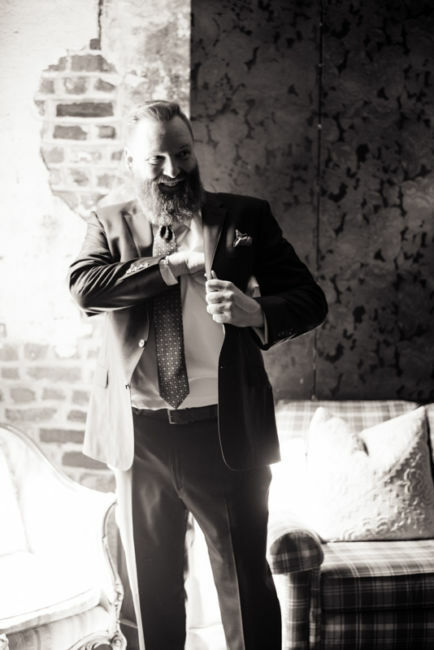 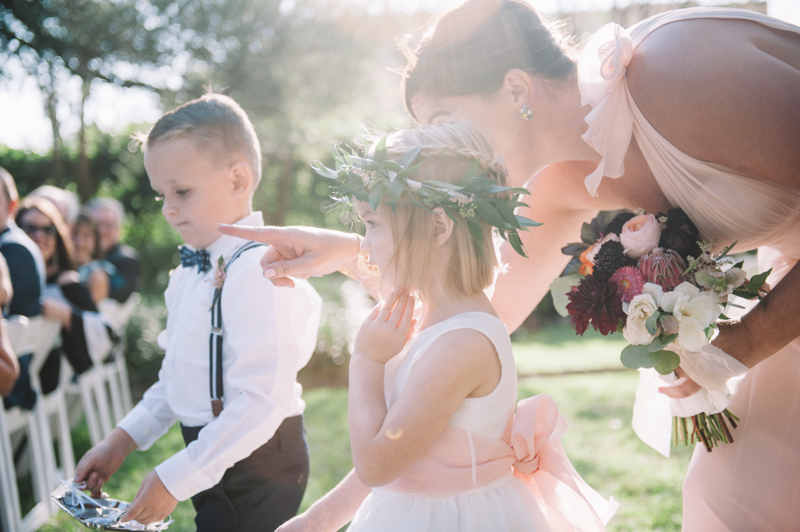 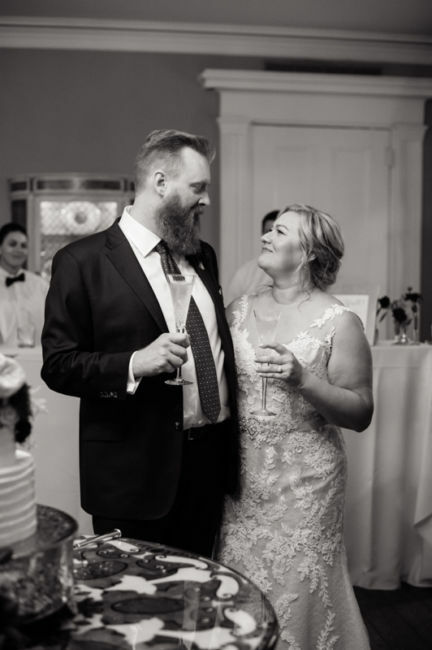 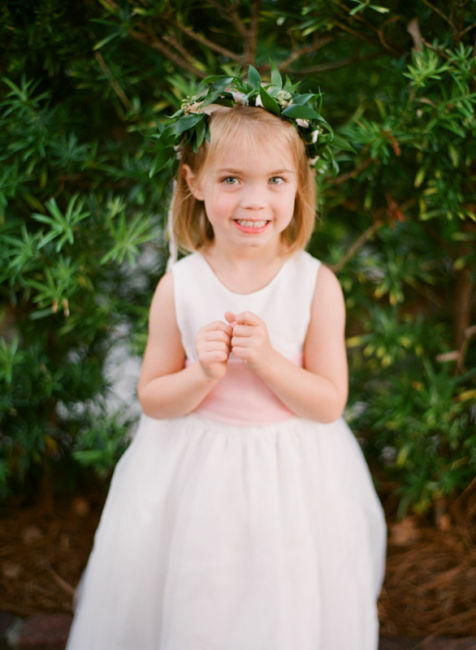 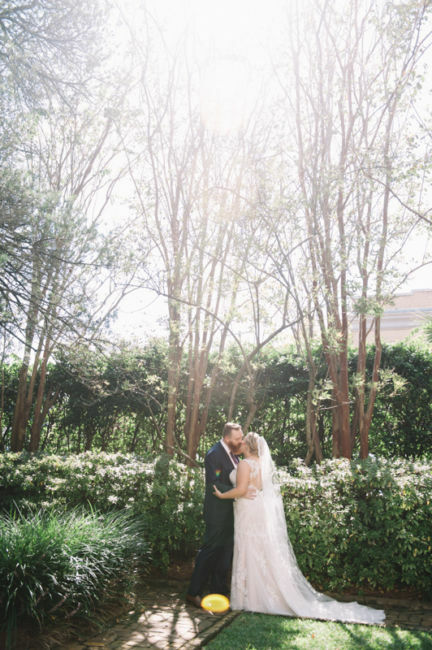 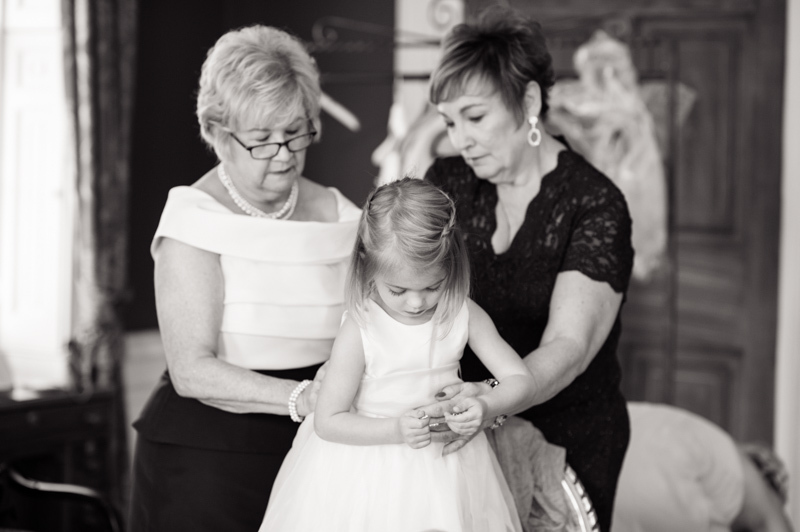 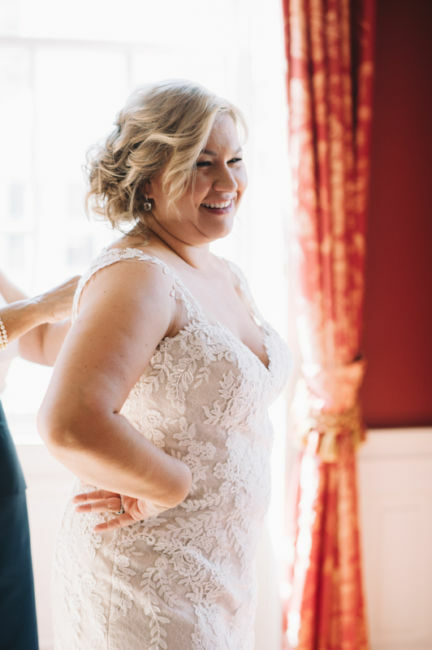 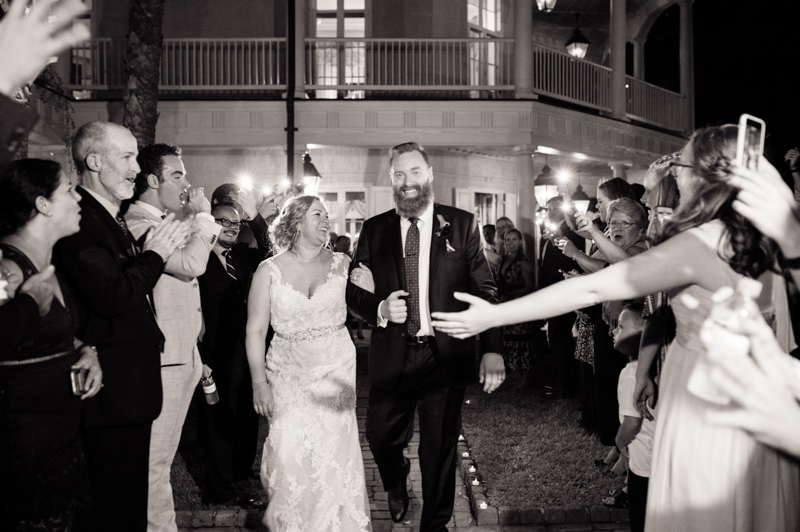 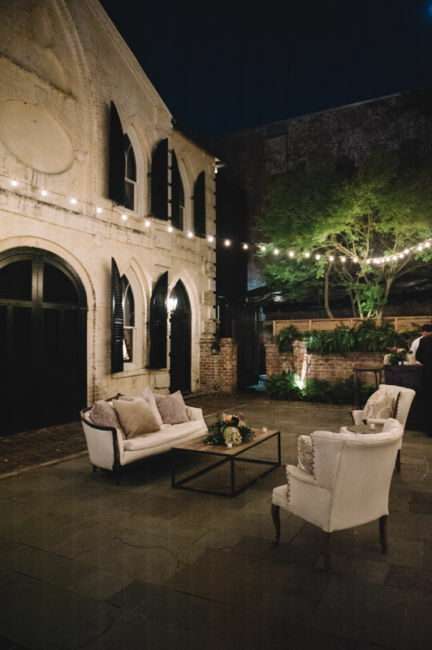 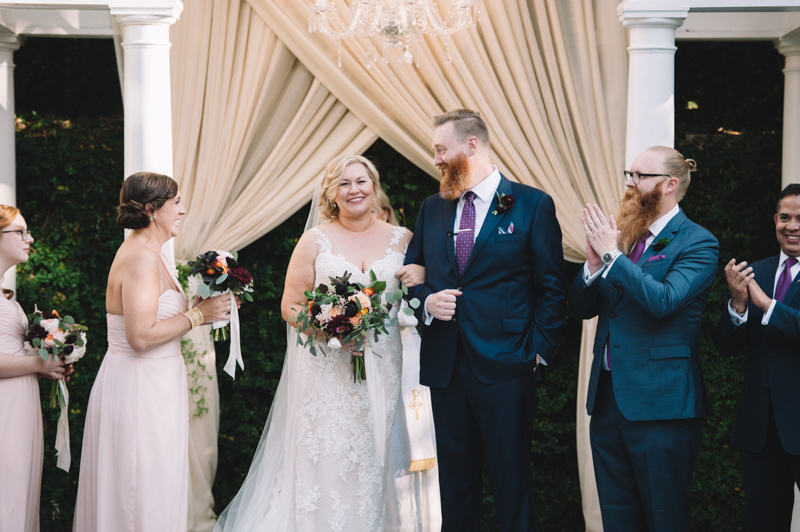 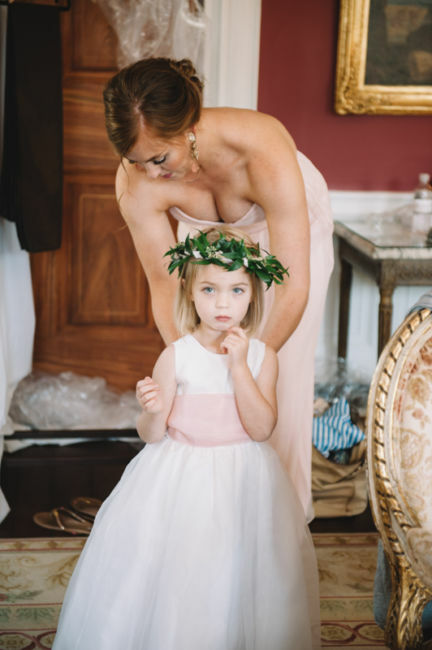 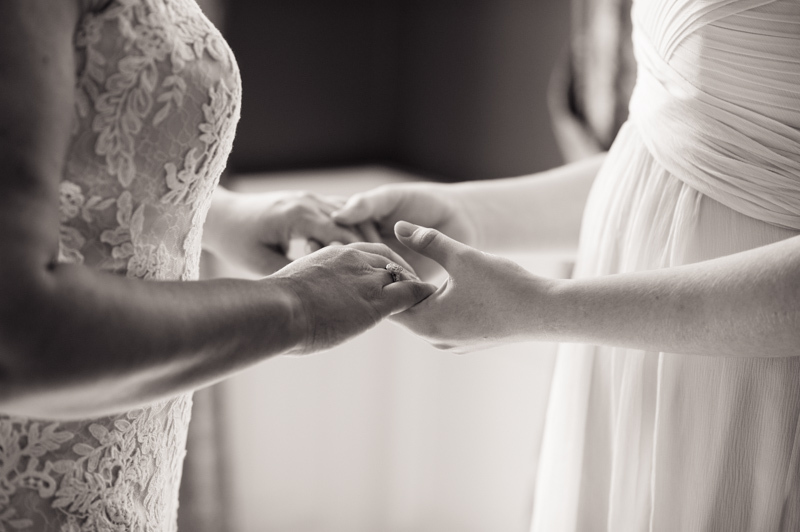 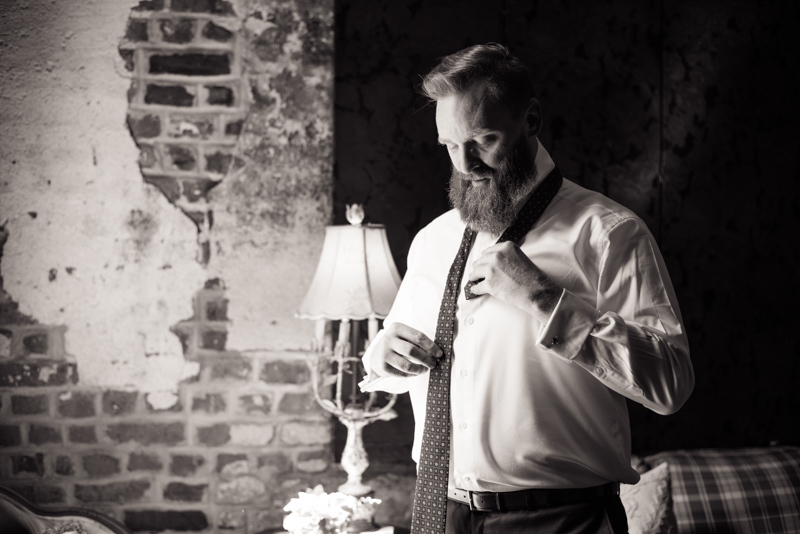 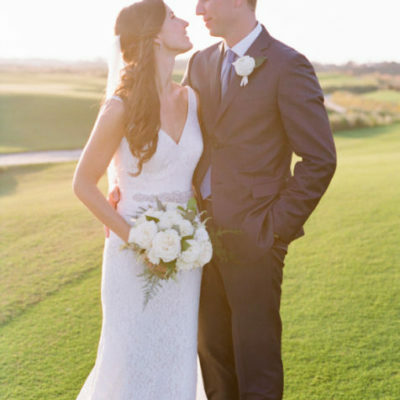 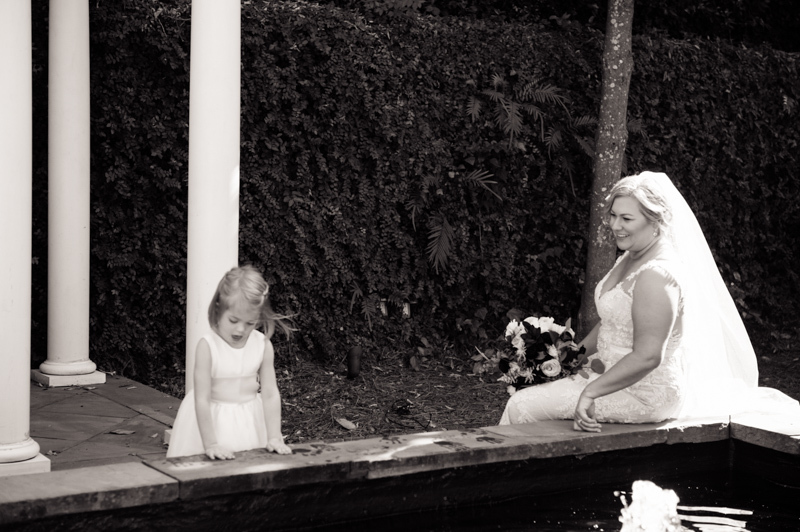 Unlike most traditional Charleston festivities, Sharon and Tony’s wedding is truly authentic to them, with the help of Carri – Mac & B Events. 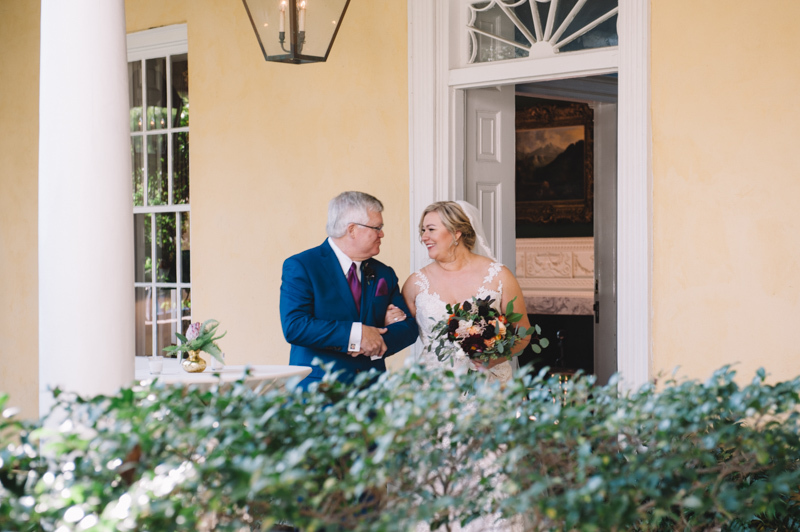 Guests traveling to Charleston were welcomed to the ceremony at William Aiken House. 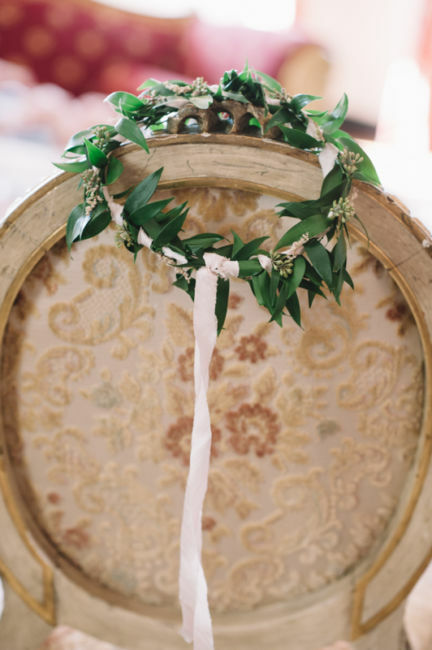 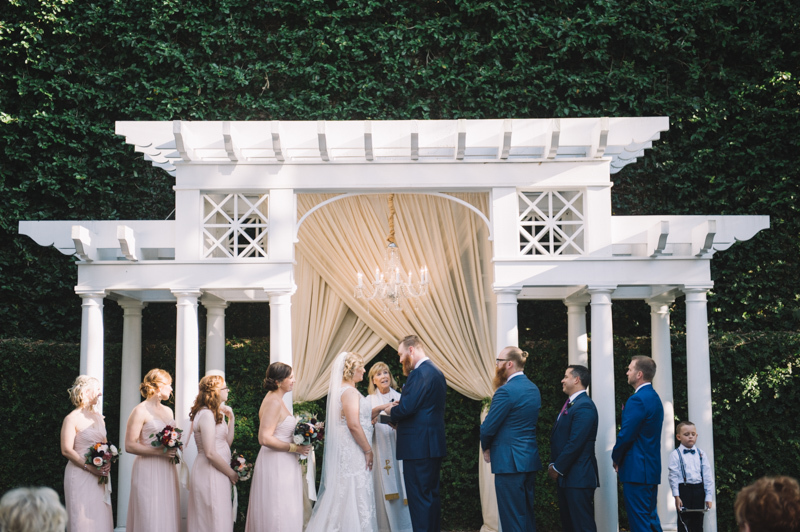 The lush greenery and earthy hues made for a gorgeous wedding backdrop. 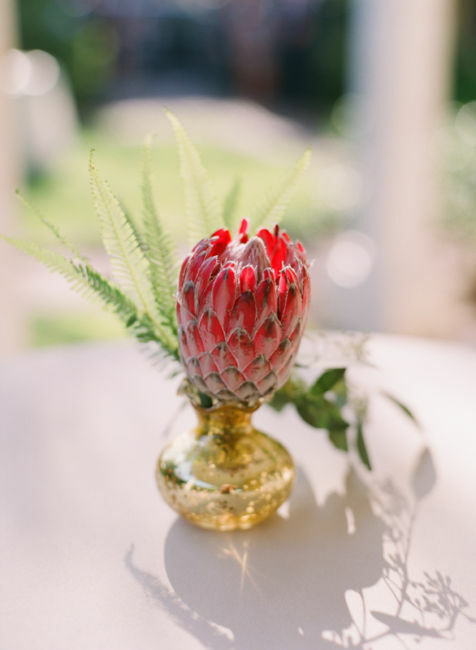 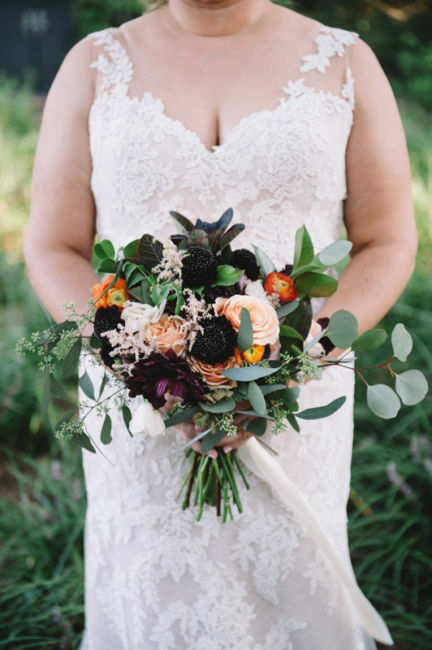 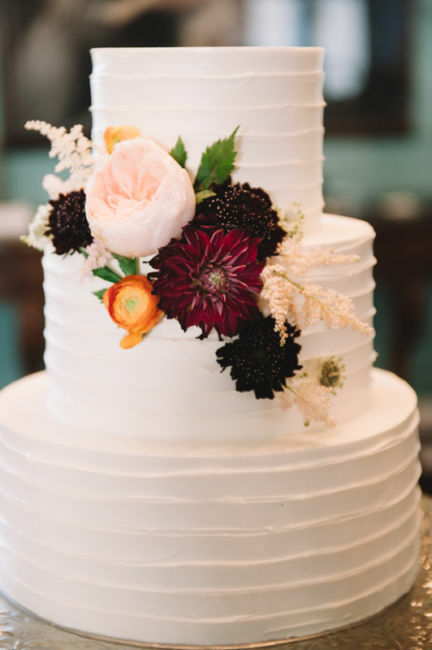 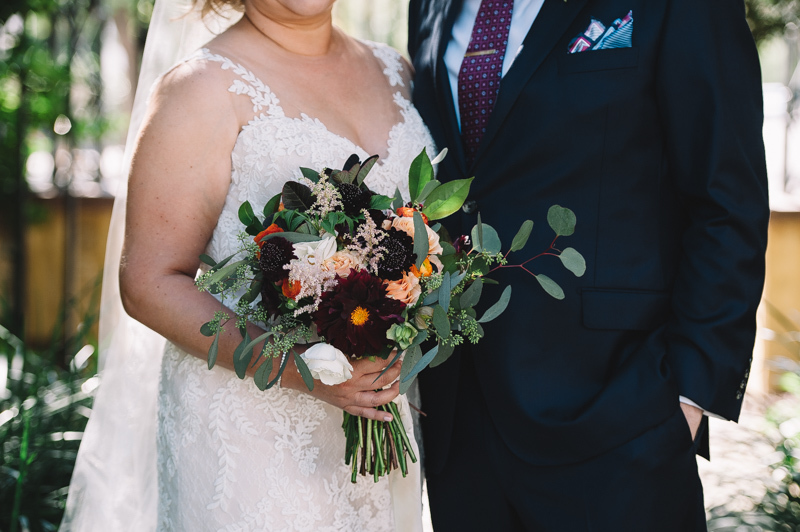 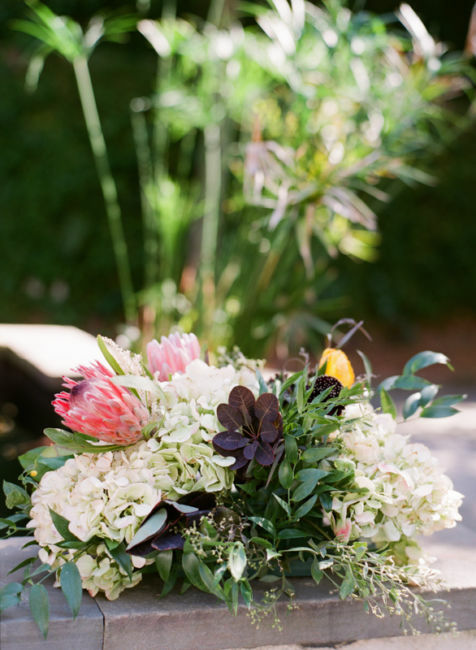 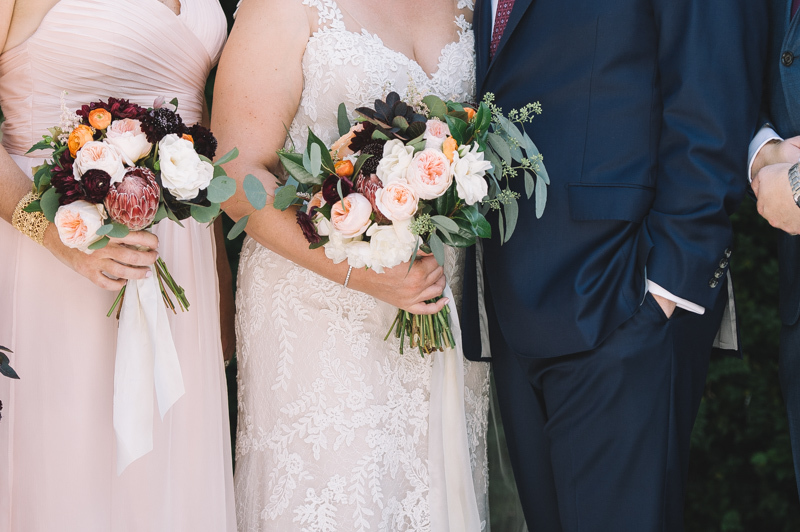 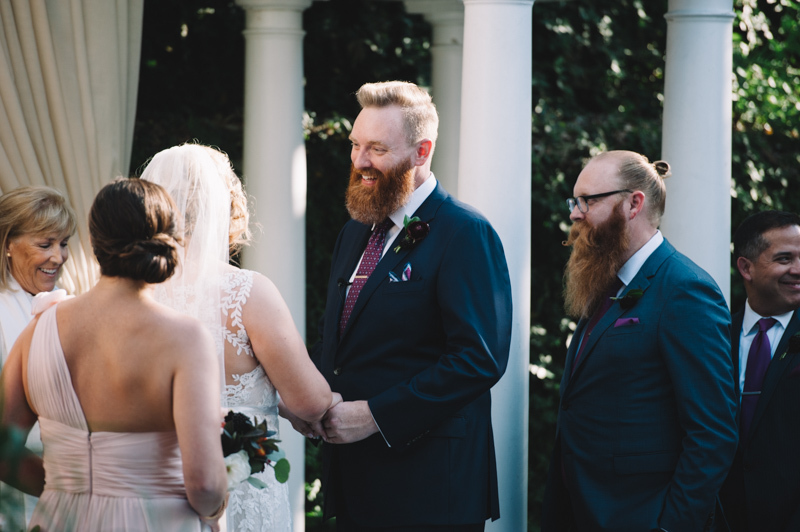 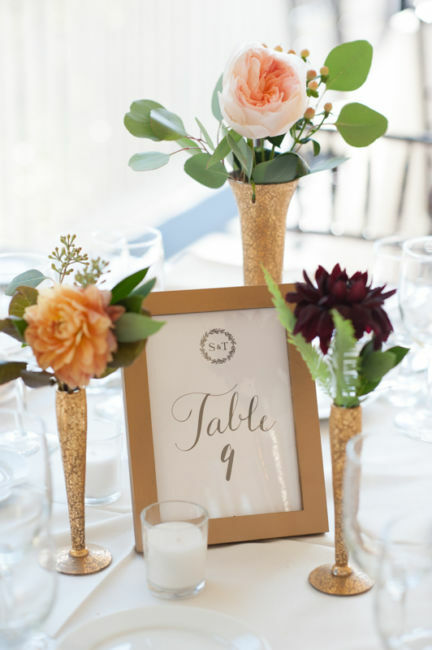 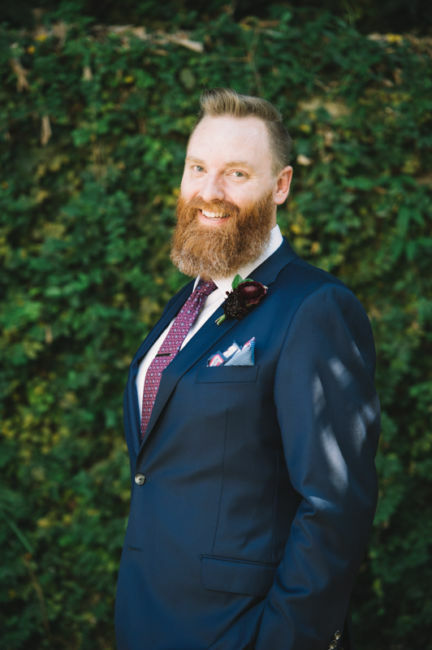 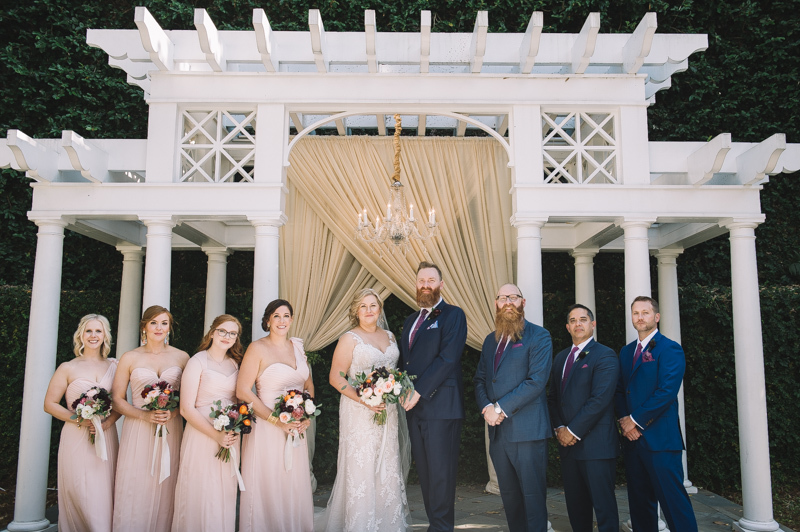 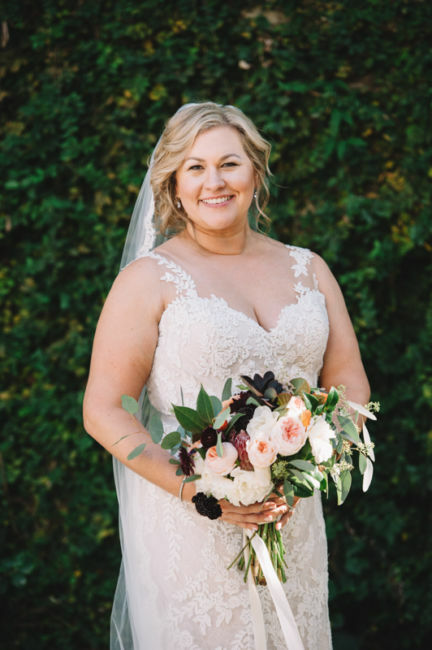 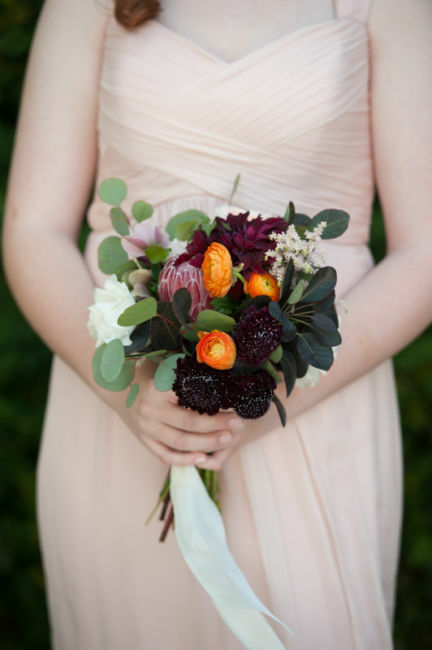 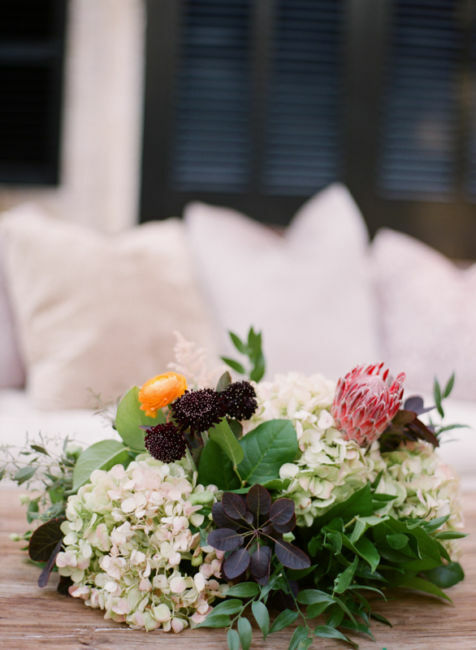 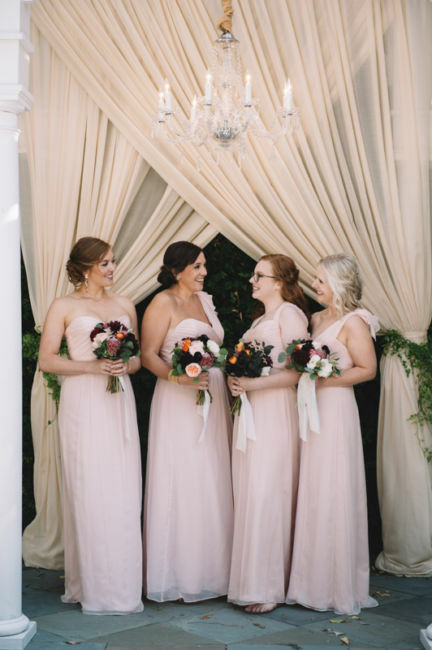 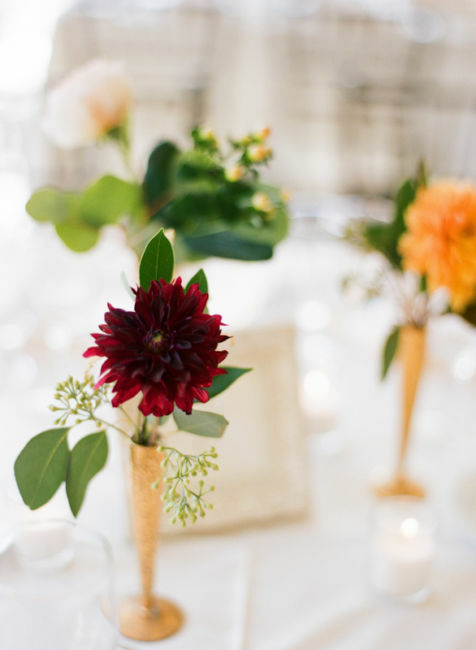 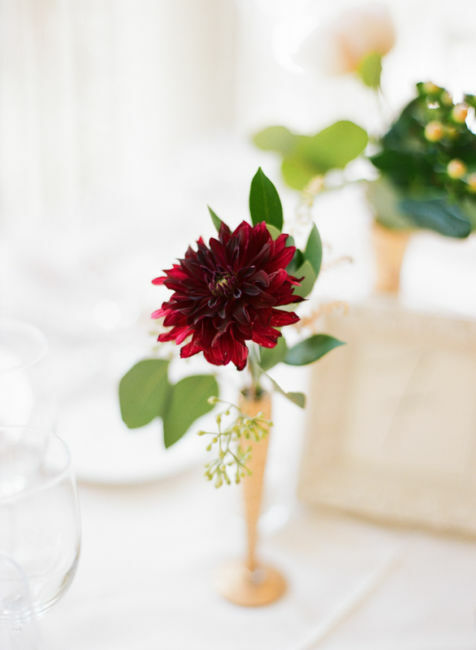 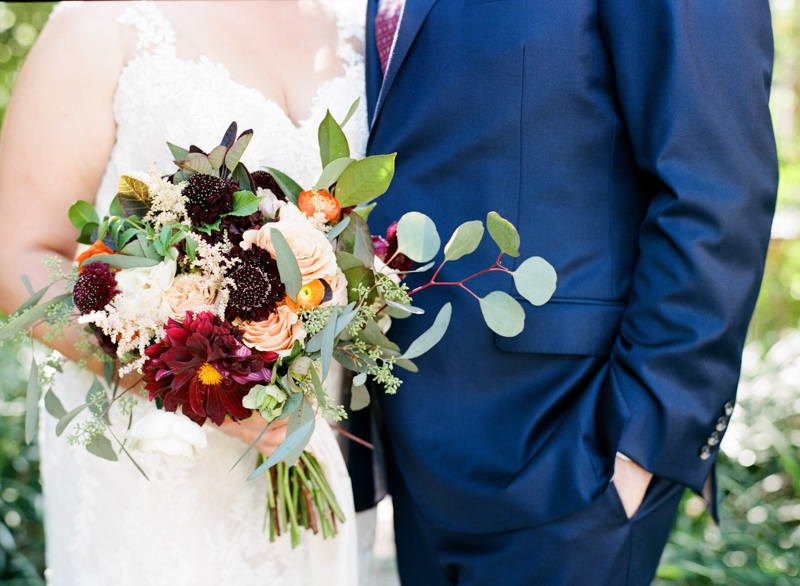 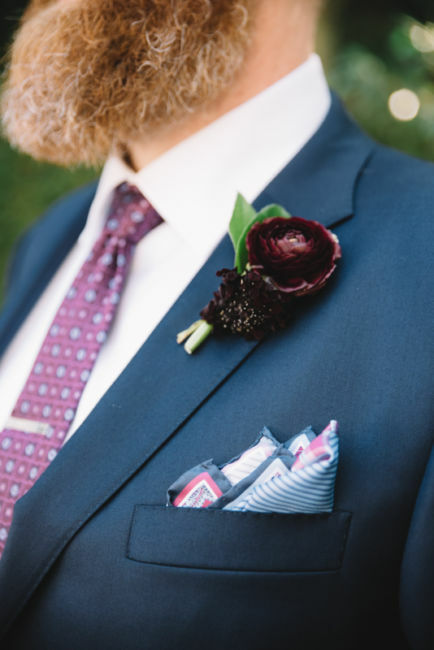 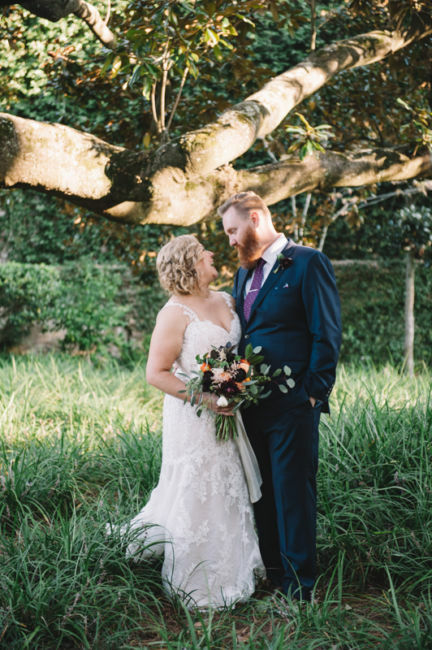 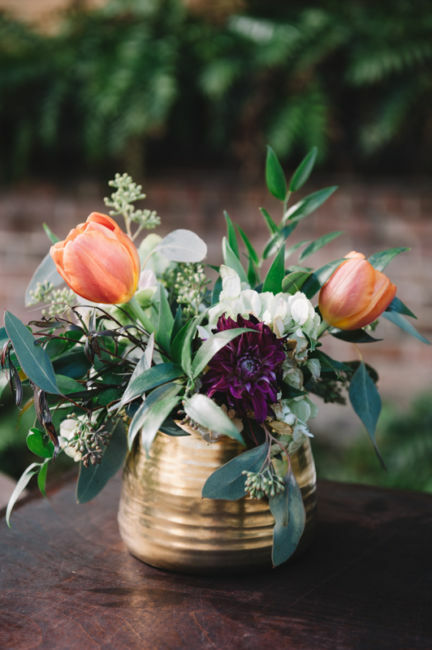 The rustic and unique flowers added a pop of color to the beauty of this wedding. 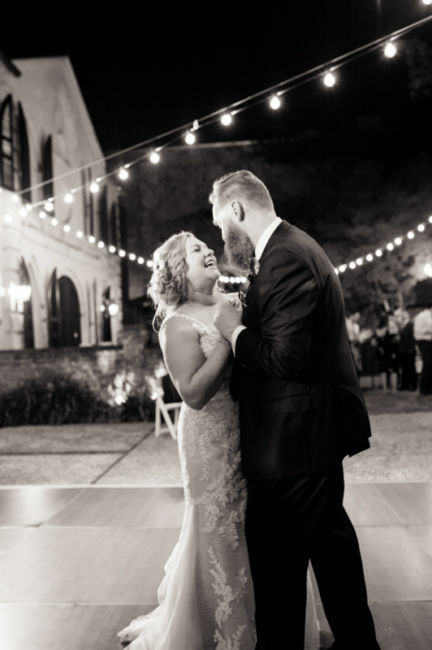 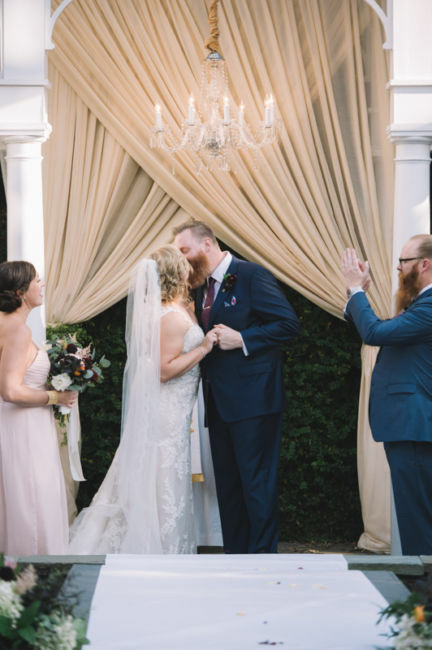 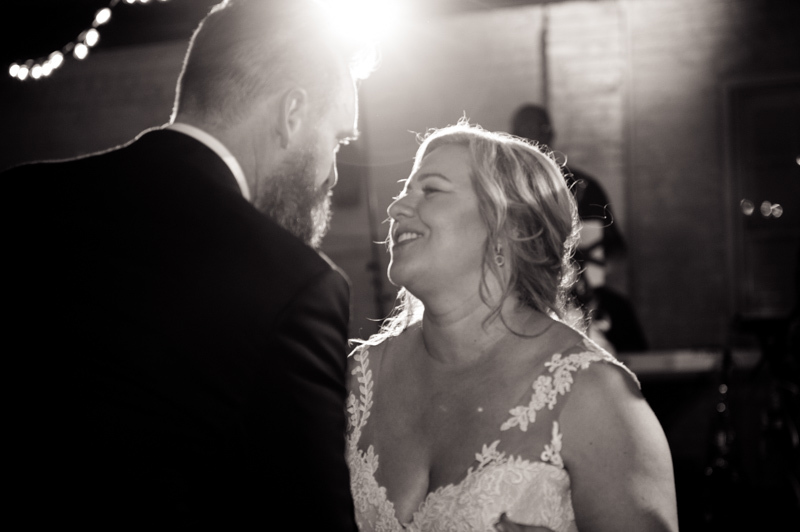 The couple got the party started with a smooth first dance to “Tennessee Whiskey” by Chris Stapleton. 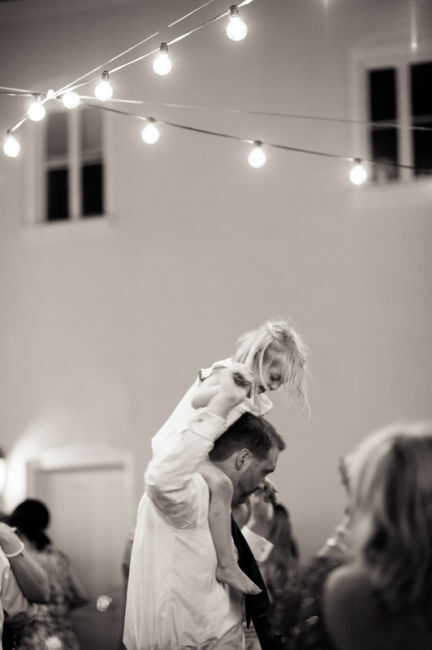 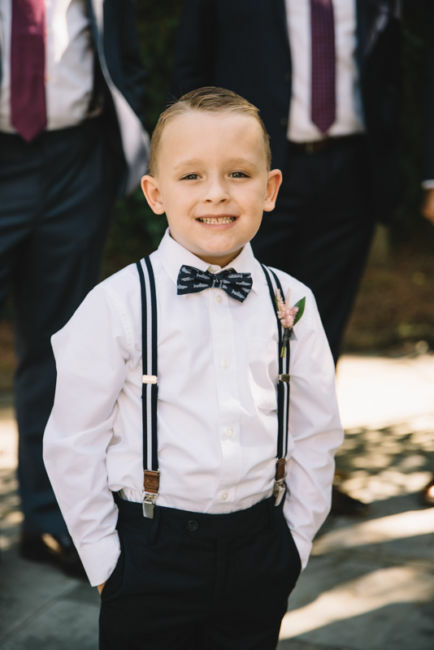 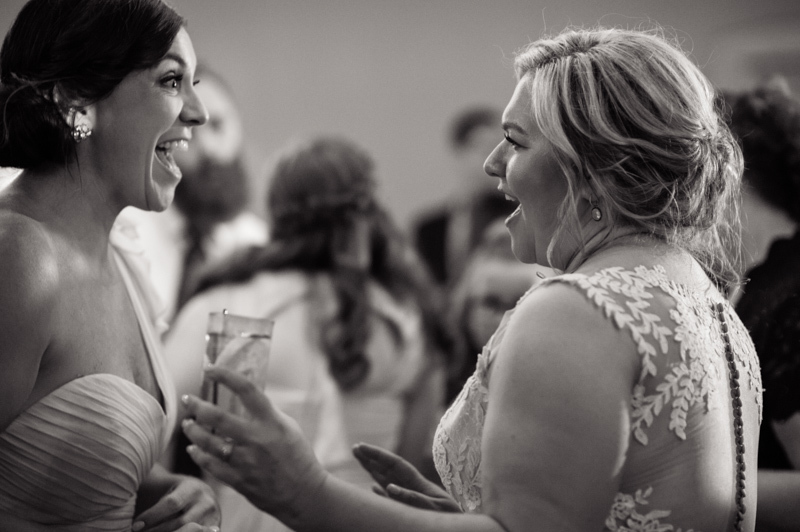 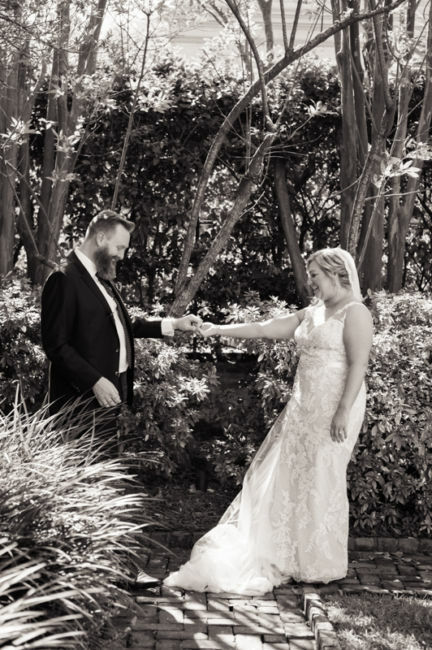 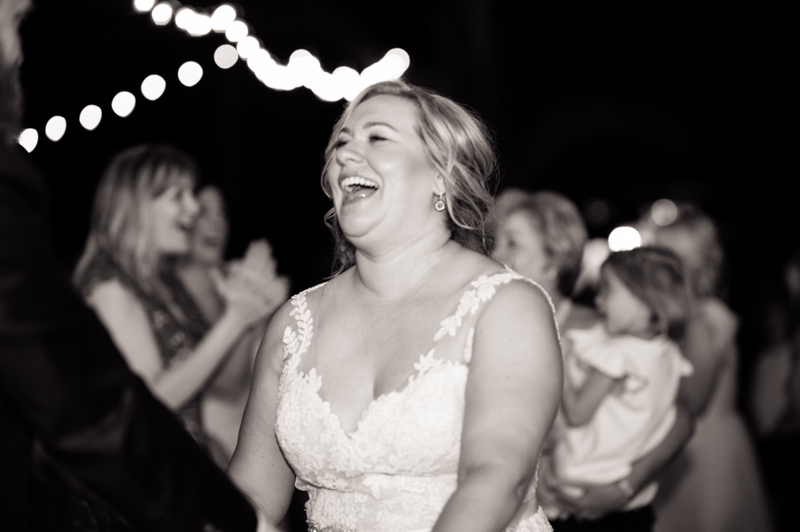 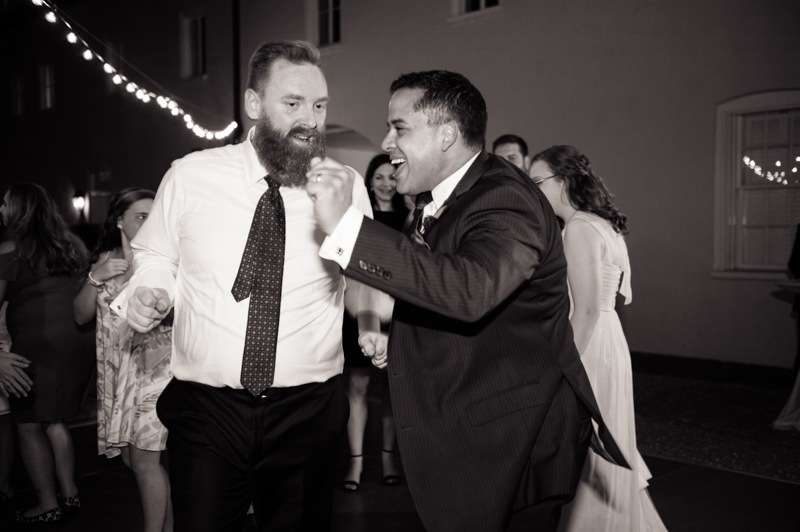 The reception was full of love, laughter, and great dance moves! 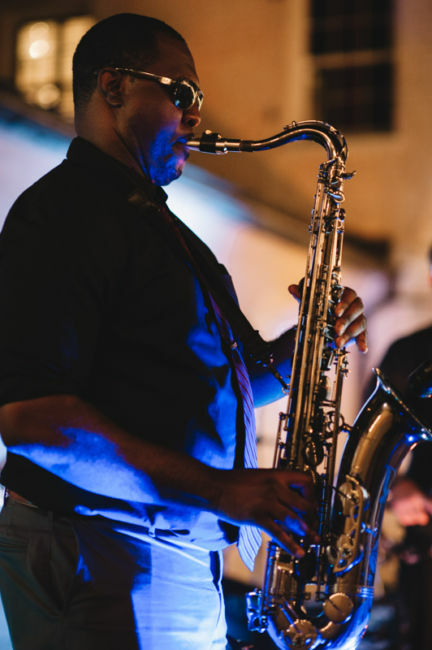 Charleston Groove Factory made sure the guests were on their feet dancing all night. 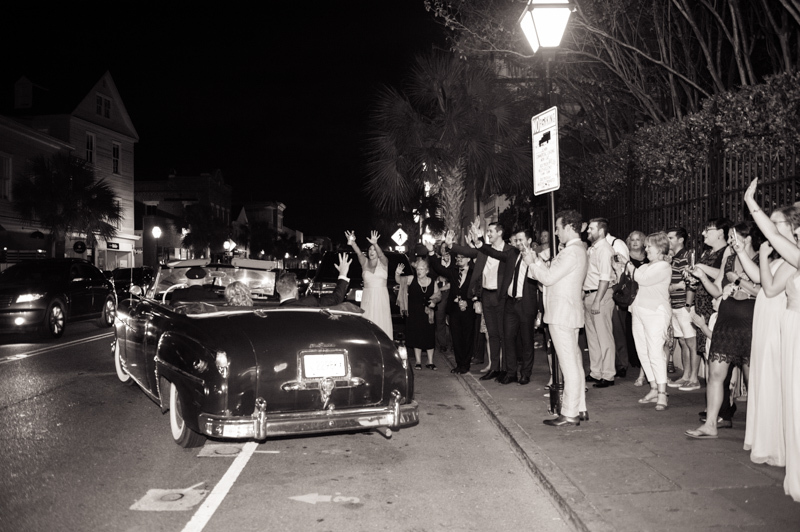 Family and friends cheered on Sharon and Tony as they rode off in their stylish getaway car – a 1949 Desoto Convertible! 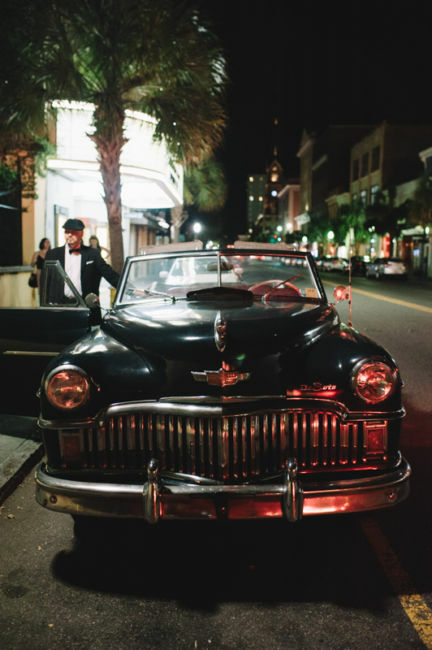 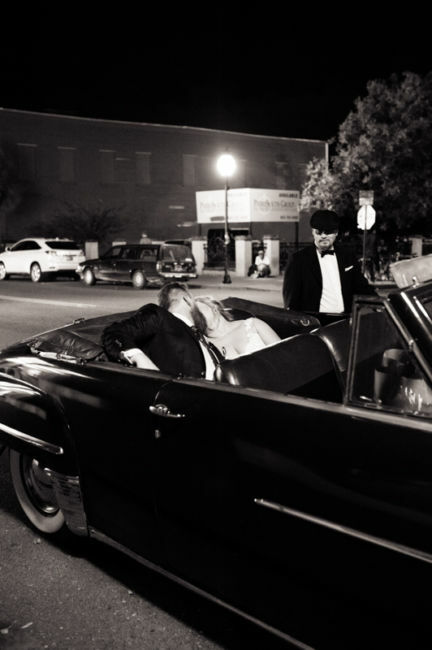 The newlyweds enjoyed their romantic drive around the peninsula, making it the perfect end to their special night.